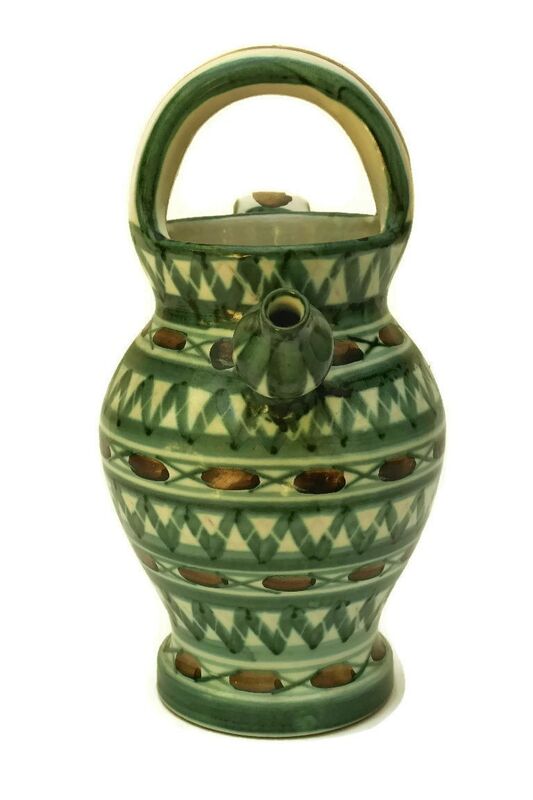 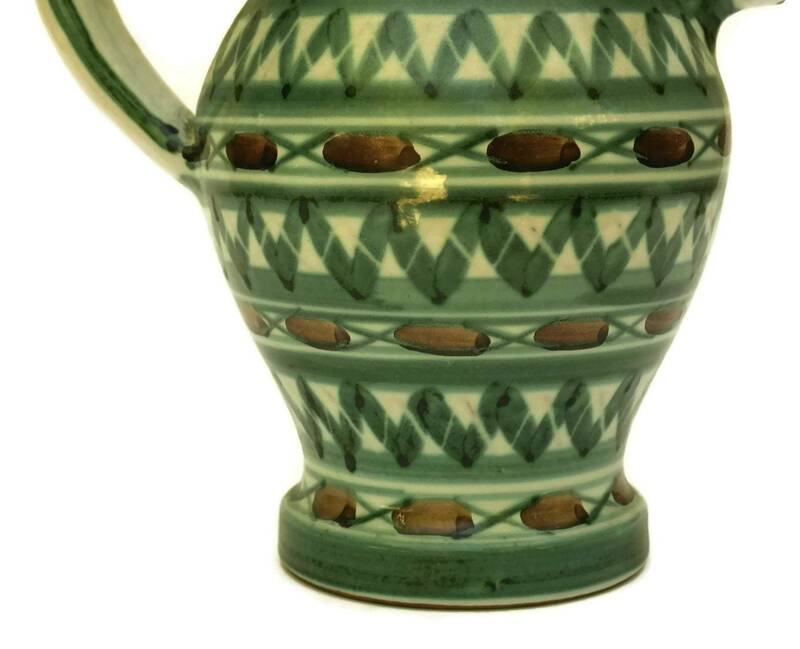 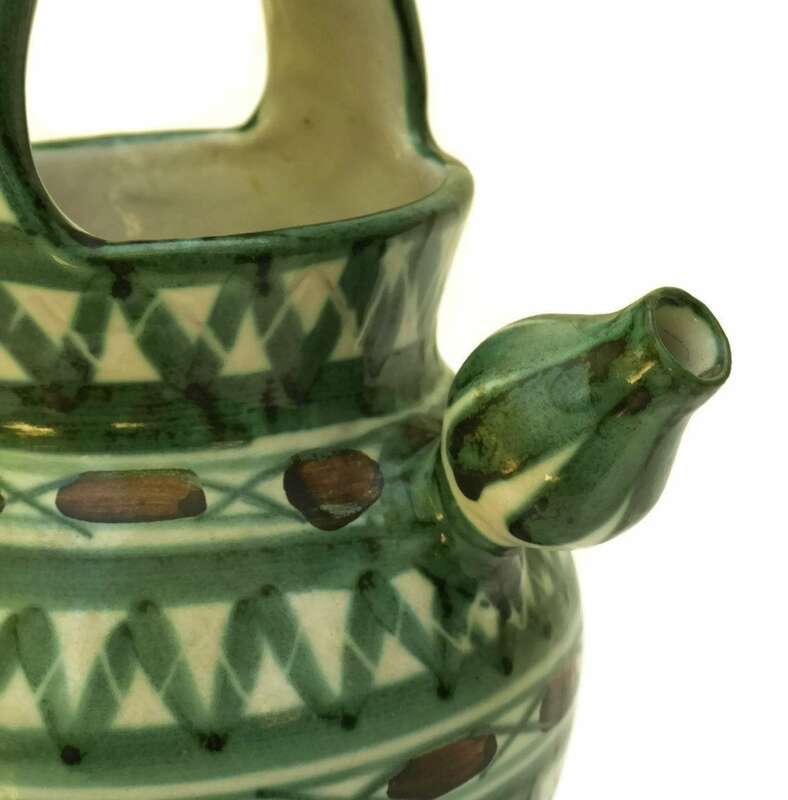 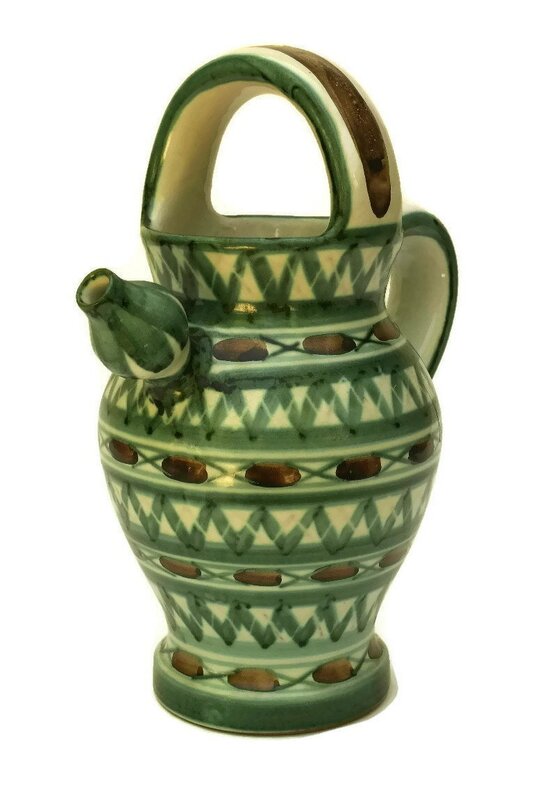 A striking mid century pottery jug created by the French ceramic artist Robert Picault. 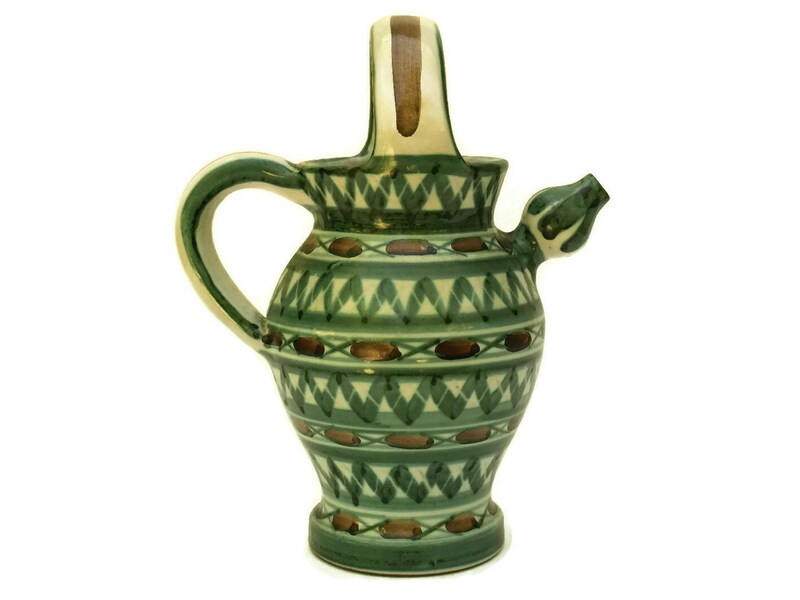 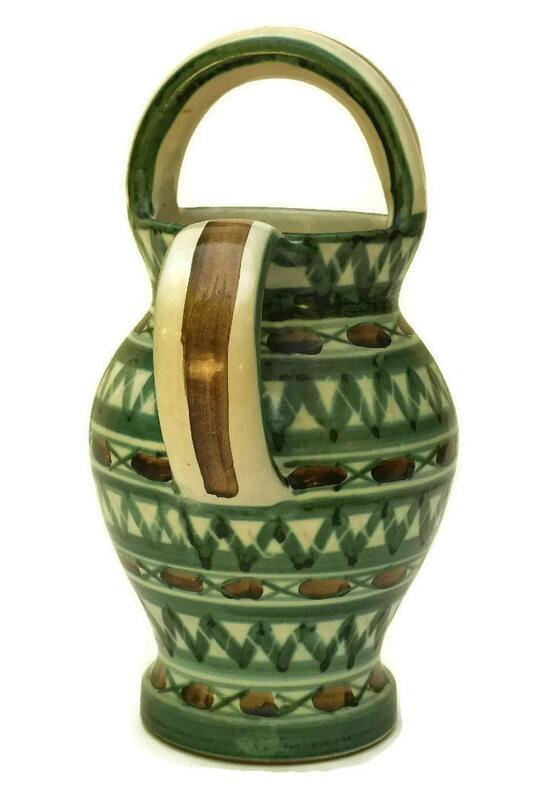 It has been created in the form of a traditional wine pitcher and hand decorated with Picault's classic green and brown geometric patterns. 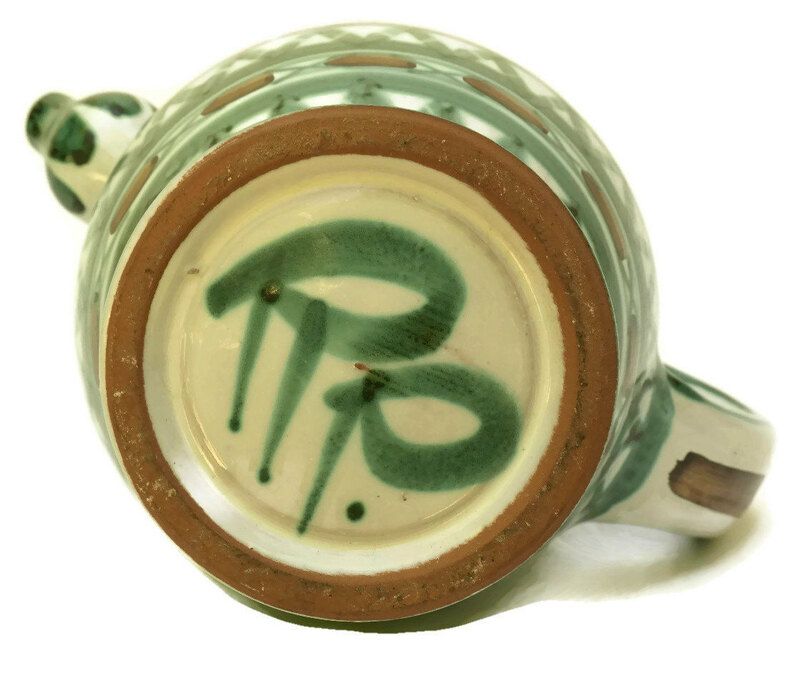 The underside bears the artist's initials RP. 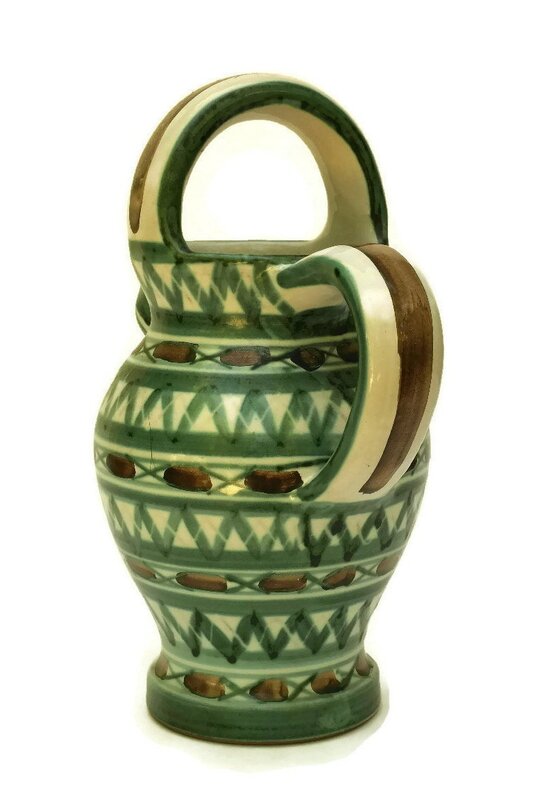 Robert Picault (1919-2000) was a renowned ceramic artist with a pottery art studio in the French town of Vallauris where he was a friend, colleague and neighbour of Pablo Picasso. 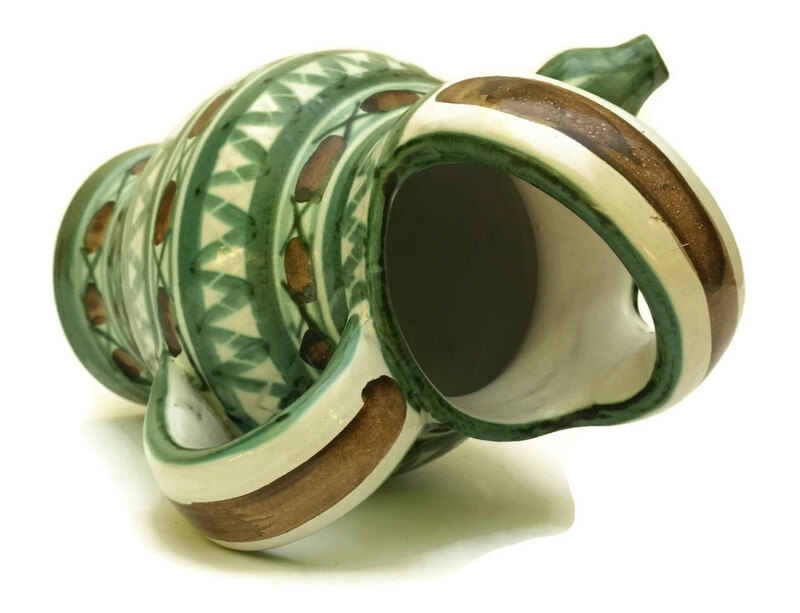 10" Long x 5" Wide (25 cm x 13 cm). 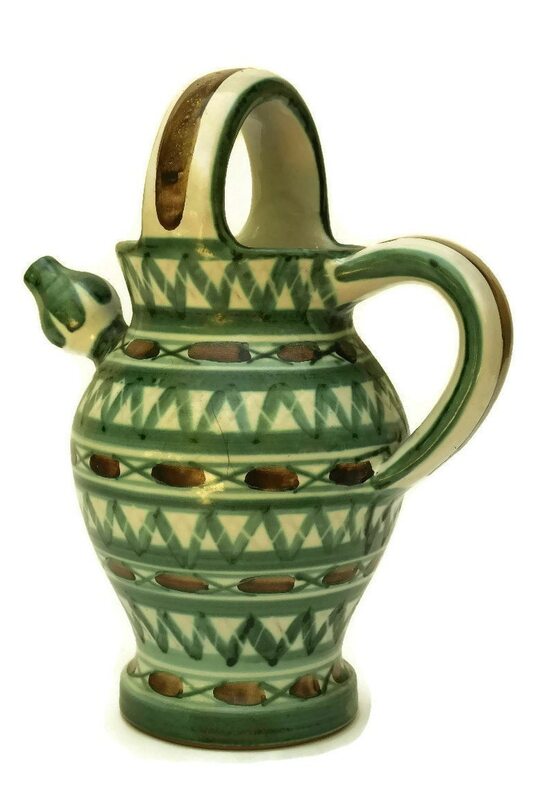 The pottery wine jug is in excellent condition.